Packed with wires and electronics, the blue suitcases might not exactly breeze through airport security. But they're most welcome where they're going. 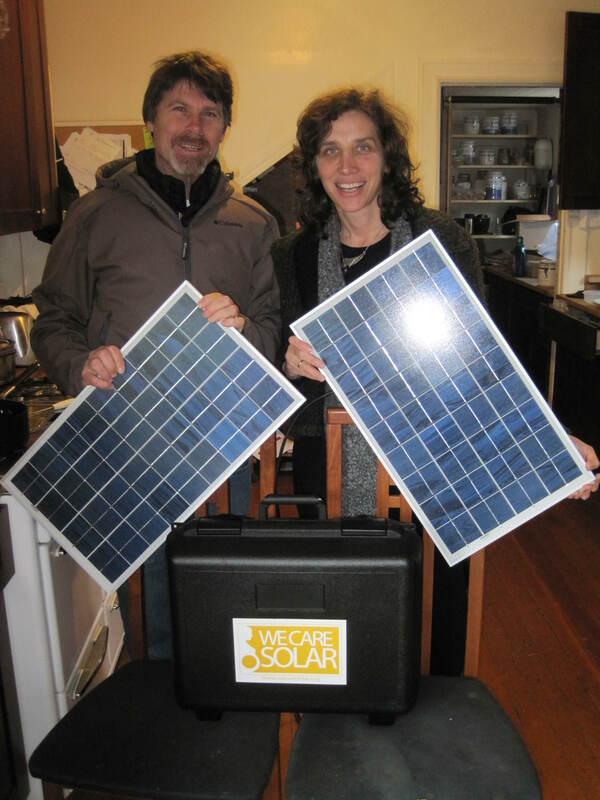 They’re actually portable solar units used to power off-the-grid schools and hospitals in the developing world. And by assembling the suitcases themselves, Bay Area high school students are also learning about engineering and social justice issues. Since its inception in 2009, We Care Solar has brought thousands of solar suitcases to places like Nepal, Southeast Asia and Sub-Saharan Africa. Most of these units are used to power medical clinics in regions that lack electricity. But when they saw how effective the portable generators were, many schools and orphanages also started to request solar suitcases. Aronson saw an opportunity to serve two communities at the same time. He decided to have American high school students build the suitcases. In so doing, they would learn about engineering, solar power and energy poverty. Then, these student-assembled suitcases would be sent to Africa to provide a renewable power and light for orphanages and schools. 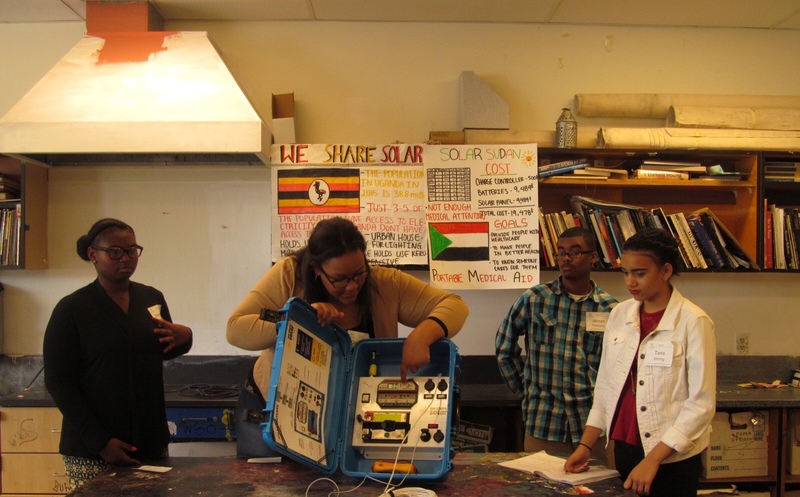 Aronson’s educational program, the similarly named We Share Solar, has been active for several years. But this month, he agreed to try something more than just teaching the students to assemble the units. 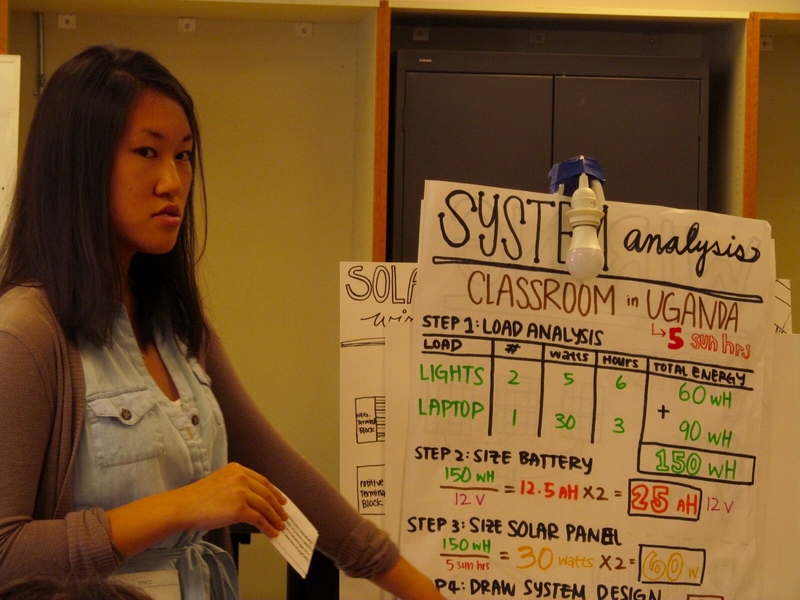 Researchers and educators from the Lawrence Hall of Science integrated the suitcase assembly into a three-week course for students in Oakland who might otherwise be at risk of dropping out of school. During this focused program, students received additional training in the engineering and design process. And additional partners like the East Bay College Fund provided career counseling. Organizers hoped that the students would gain a real-world appreciation for what they were learning in school, which would motivate them to pursue advanced studies, especially in science and engineering fields. 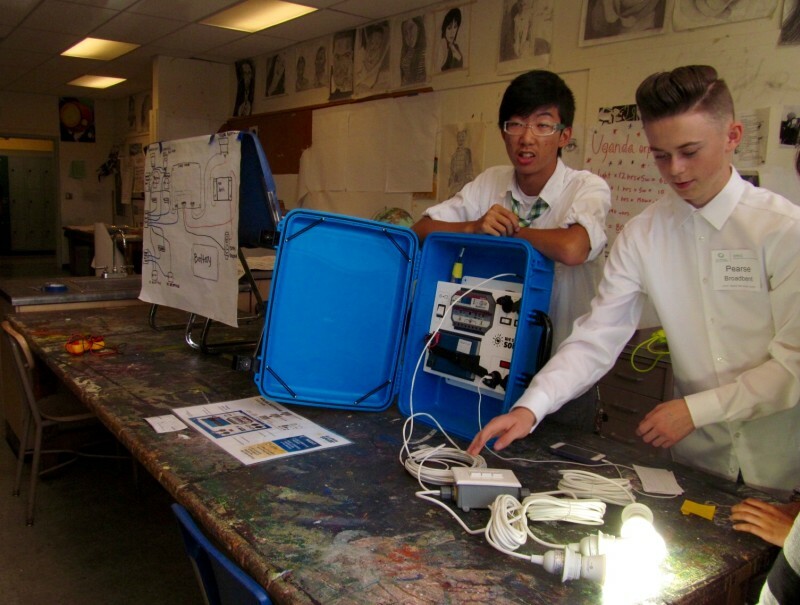 In early July, more than 20 students from the Oakland’s Skyline High School participated in the integrated three-week solar academy for the first time. As a capstone experience, the students explained their work to an audience of about 40 educators, engineers, and community members. Each group also showed off its completed, functional solar suitcases, ready to be sent to orphanages in Uganda. The students see a potential payoff for themselves as well. “It really did open up another option for me that I wasn’t aware of,” says Eunice Han, a rising junior who participated in the course.